In the days since Ajit Pai, the Federal Communications Commission Chairman under President Trump, announced his plan to reverse the wildly popular (and court-affirmed) Open Internet Order, there’s been a lot of strange rhetoric coming from Internet Service Providers. 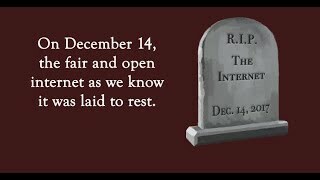 While celebrating the proposed death of the only net neutrality rules to prevail against ISP court challenges, these monopolistic, noncompetitive companies keep insisting they love net neutrality and have no intention of doing any of the things the net neutrality rules prohibit. They’re celebrating the death of the rules, insisting that the rules aren’t needed because they weren’t going to do any of those things anyway, so we should trust them. The Federal Communications Commission has been on a bit of a crusade under Chairman Ajit Pai’s leadership so far, taking any steps they can to reverse or undermine Wheeler-era accomplishments, no matter the pushback. While he’s had some success (and is poised to take yet another stab at limiting broadband competition this morning), there’s another item on today’s agenda. Wrapped (somewhat deceptively) in language justifying deregulation with promises of infrastructure deployment, and lumped in with other valuable proposals, is an effort to gut important consumer protections implemented to ensure a smooth path through arguably the largest digital infrastructure project on the horizon: the tech transitions. Consumers have a lot to complain about when it comes to their cable, broadband, and wireless services. But the issue that hits closest to home is their bills - they’re too high, too confusing, and larded with hidden fees. Cable industry billing practices are a big part of how the cable industry gets away with jacking up rates at more than twice the rate of inflation over the past twenty years. As we speak, House and Senate Republicans on the Appropriations Committees are trying to attach a number of inappropriate legislative policy riders added on to important appropriations bills for 2017. 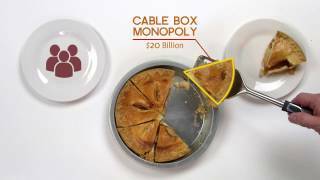 One rider in particular takes direct aim at the Federal Communication Commission’s ongoing proceeding to “unlock the box.” That proceeding would unburden consumers of hundreds of dollars in annual rental fees for their cable boxes, open up the market for new choices as to how they access the content of their choosing, and lower barriers to entry for innovative technologists and for diverse and independent content creators.